Who's the millennial now, Mom?! Here's the thing, I LOVE food. I also love trying new things, I love a good deal, and I love making my momma happy. I visited Royal Pot in East Lansing (Hannah Plaza) earlier this week and I managed to knock all those things off my list with one glorious meal. Royal Pot has something for everyone. It's for the adventurous eater and the bashful ones. They have authentic Chinese food, good ol' American Chinese food (pass me those delightfully golden, deep fried crab ragoons, please! ), and they have one of my absolute favorite culinary treats: the hot pot. The beautiful thing about the hot pot is that you're the driver! You get to choose your soup broth and can add in as many meats, veggies, seafoods, and spices as you want. As you can see in the photos, we went for it! We got beef slices, shrimp, mussels, and mushrooms. It was a dazzling smorgasbord that I won't soon forget! Other than my reverent belly pats at the end of the meal indicating a job well done, my favorite part was how much my mom loved it. She is an incredible cook, and therefore is notoriously hard to please, especially when it comes to food. It was an absolute pleasure to see how much she was enjoying herself. She couldn't stop taking pictures to show off to her friends and she quickly made friends with the entire staff as they traded cooking tips. Our hot pot experience was positively remarkable, and I cannot wait to go back on Friday for another round! I'll be hanging out at Royal Pot from 4-6 pm and you can get HALF OFF your $24 or more purchase, saving up to $11.99! You can get a preview of the menu here. Stop by and say hi, and try out a hot pot for yourself! Catch up with Mars weekdays on 97.5 NOW fm from 10 am to 3 pm! To keep up with what she's been up to, and for an obscene amount of photos of her dog Jarvis, follow her on Instagram.  Plus, take 97.5 NOW fm with you wherever you go with the FREE and amazing 97.5 NOW fm app.